Here at Shoot! we endeavour to keep a watchful eye over the emerging talents in world football and keep you in the know in terms of who you should be watching out for in the years to come. Today we turn our attention to a man who tasted Youth Cup defeat last year. The feelings of disenchantment, are starting to ease, however, as he surges his way through the Manchester City hierarchy. It’s Monday, August 15, 2016. There’s 15 minutes left of the match. Premier League 2. The score, newly promoted Derby County 2-2 Man City. Manager Simon Davies turns towards you, “Get ready,” he shouts. In only your third appearance for the Elite Development Squad, it’s your job to start off a decisive attack which could lead to the winner. For some, the pressure may have just been too much. For City, right-back Demeaco Duhaney, this was the sort of environment where he thrived. Just two minutes later, Duhaney fed through the Sky Blues’ number nine Lukas Nmecha. The net rippled. One point had just become three. It was the catalyst of his career with Man City’s EDS side. Boss Davies began to realise the composure that this lad had. Over the years, a number of boys from Manchester have achieved their lifetime dream as they have reached the pinnacle of the English, and world, game. Could the Man City right back be the next added to that list? Duhaney can Shoot for the Stars. It was in October 1998, the same month that Linford Christie received his OBE, that Duhaney was born. Having been born whilst the other side of Manchester ruled the country, Duhaney had a passion for football. The Theatre of Dreams lied on his doorstep. Maine Road lied some miles away. Perhaps one day he could dream of being with one of the respective Manchester clubs, lifting the trophies that he watched his heroes lift during his upbringing? No surprise that when, only at a young age, he was snapped up by Manchester City at academy level. Week-by-week he would make the short journey to training, wishing that one day all the hard work would pay off as he would be able to call himself a City player. But, while some of his friends took the glory in front of goal, Duhaney took the glory from a defensive perspective, as he became solid on either flank in a full-back position. Ask any man who has watched Duhaney play at Under-18 or EDS level and they will tell you one of his key attributes is the use of both feet. Such attributes don’t come naturally. It took hard work; blood, sweat and tears were all necessary if he wished to achieve his lifetime goal. But, with his GCSEs approaching in the summer of 2015, Duhaney faced a life changing few weeks. Perform well and the right-back was on his way to featuring full-time for one of the best sides in England. But, injury or one poor display at a bad time, and his chances of professional football could have fallen apart. Thankfully for the local lad, the dream became a reality. It was destination the Academy Stadium from now on. The dream was just one step closer. But would he be able to make the step-up? The simple answer to that was yes. Duhaney became a key figure for the Under-18s in his first season as a scholar. His shining performance down the right flank sent out messages to the hierarchy at City about this boy’s ability. Then manager of the development squad, Patrick Vieira, began to take note as he made two appearances for the Under-21s in fixtures against Sunderland and Middlesbrough respectively. Back at Under-18 level, things were going to plan also. The Sky Blues raced through the FA Youth Cup in flying colours, a 5-2 victory over Leeds United and victory in the semi-finals over 2009 champions Arsenal the highlight, before being defeated narrowly by Chelsea in the final, despite a credible draw in the first leg. No such worries in the League however. A 4-4 draw over Everton on the eve of the first-team’s Champions League semi-final second leg against Real Madrid, was enough to earn the young Citizens the Under-18 title. The following Saturday saw their coronation at the academy stadium, it proved to be a day that Duhaney will never forget. Solid performances at youth level sent out a message to the EDS. It has paid dividends this year with Duhaney becoming an integral part of City’s Under-23 squad. While his highlight may be the Derby game, a brace from right-back in February of this year against a strong Sunderland side also proves to be a day that the 18-year-old will forever remember. While City have been crowned champions on two occasions over the past five years, they have been slammed by some for a lack of youth development. 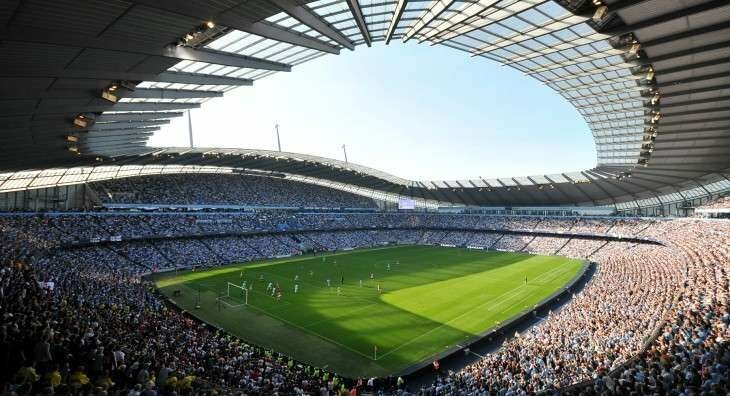 But there is no question about it, the future at the Etihad Stadium looks bright. In years to come could this right-back achieve the dream that so many local Manchester lads have had over the years?